TOSS your smartphones aside and accord these luxurious setpieces – and the friends you’re playing with – the attention they deserve. They’re fashioned out of top-grade material and polished to perfection, making each winning play you make that much sweeter. If you’re calling on someone and want to surprise them with an atypical gift, pre-order one of these beforehand – it’s hard to go wrong with such practical buys. Plus, you’ve just given the host something to add to the night’s festivities. You don’t get to throw down your tiles in much more style than with these acrylic resin specimens wrapped in Saffiano. That’s right, Prada’s signature cross-hatch leather coats each last one. Gold lettering on black – even for the ‘flower’ tiles – lends the game some serious gravitas. It’ll also make for killer Instagram shots of your epic winning hands. More info here. Here’s your chance to build a house made entirely out of LV. The monogrammed cards are kept in a travel pouch, which come in black and rouge options. Alternatively you could challenge a friend to a table tennis showdown, mano a mano (because each set contains just two paddles). The paddle case is made from Monogram Eclipse leather, as is the ball holster (balls included). At the base of each handle is a monogrammed LV medal. Face off in the classic head-to-head, only this time with weighty pawns probably worth a sizeable chunk of your paycheck. Crystal pieces from the upmarket French glassware company sit atop a board composed of multiple types of exotic wood. More info here. Can you resist saying ‘fancy…’ each time you throw these wooden Hermes dice? 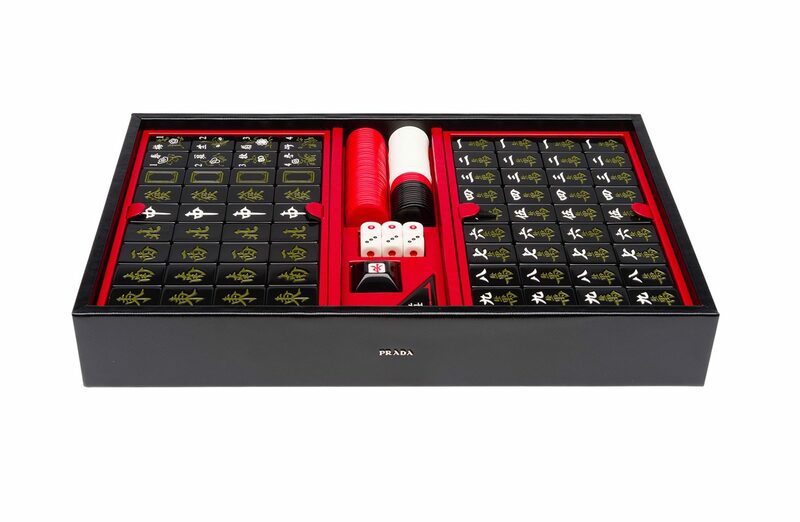 Even this simple game has been jazzed up by fine craftsmanship in the inlaid wood carvings, bridle leather sleeve and of course, a scoring pad to keep track of who Lady Luck is courting that night. If you prefer a match of skill and are pretty sure your host has room in his or her pad, foist this elegant foosball table on them… then proceed to crush the competition with all that foosball training you’ve (presumably) been saving up since your teenage years.